It’s so hard for me to believe that Daughter of Deep Silence is coming out in only three days. THREE DAYS!!! *Flails* As I’m sure many of you know, the first week of sales for a book can be important, so as a thank you to everyone who pre-orders my book or buys it in the first week, I want to send a free gift. What kind of free stuff will you get? 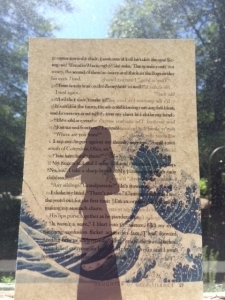 A limited edition print, a signed bookplate, bookmark, and postcard. And y’all, I’m pretty excited about this print. I got the idea from browsing around Etsy — there are some fantastic prints on old dictionary pages. I decided, why not try the same thing, but with pages from Daughter of Deep Silence? So that’s what I’m giving away — I deconstructed the very first copy of the hardcover I received hot off the press, and am using those pages to create a double sided print. 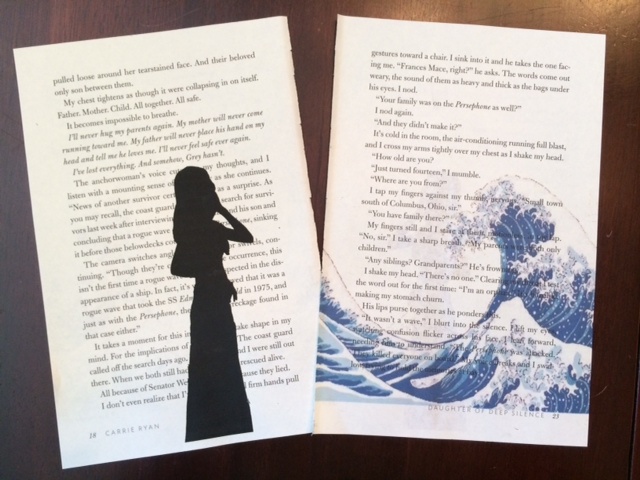 On one side is the silhouette of Frances from the cover, and on the other side is a crashing wave. Each one will be numbered and signed. I hope y’all are excited about this giveaway as I am! 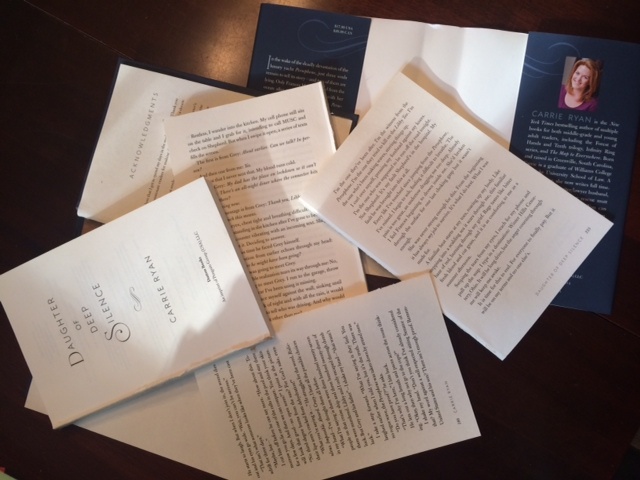 And if you’re interested in Daughter of Deep Silence, I hope you’ll pick up a copy! 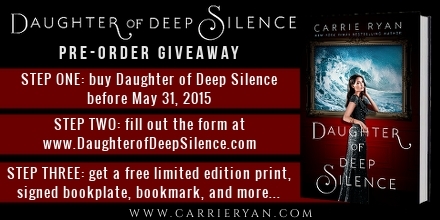 In order to enter, simply pre-order or buy Daughter of Deep Silence before May 31, 2015 and fill out the form at www.DaughterofDeepSilence.com. That’s it! Unfortunately, it’s limited to US addresses only. 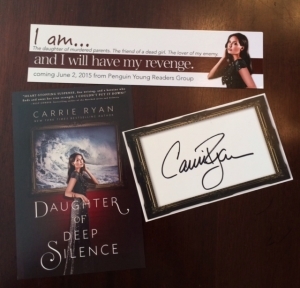 But I promise I’m working on a special giveaway for my international readers — so stay tuned! If you have an international address and would still like the swag, you can order the book through my local indie, Park Road Books — they’ll be shipping all the pre-ordered copies with the print, bookplate, postcard, and bookmark!